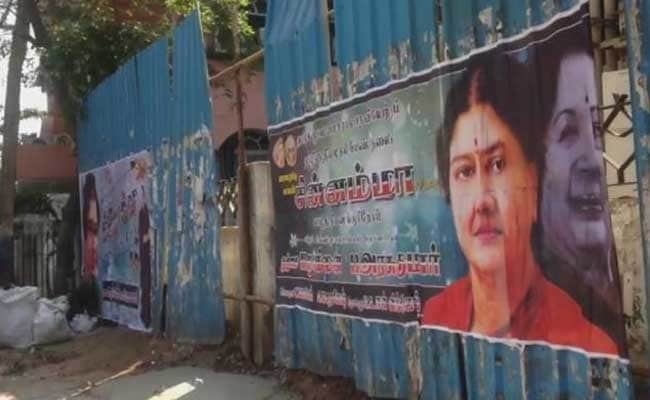 Chennai: Former Tamil Nadu Chief Minister O Panneerselvam wants posters and photographs of jailed party chief VK Sasikala to be removed from the AIADMK's office in Chennai's Royapettah, where merger talks will be held between two rival factions. Mr Panneerselvam or OPS leads one of the factions and has made a list of demands before discussions can begin to reunite the ruling party. "Remove Sasikala's photos...The sanctity of the party office has to be protected," said veteran leader E Madhusudanan, placing the latest OPS camp demand on the table. He made the demand as the AIADMK's Presidium Chairman, a post that Ms Sasikala sacked him from when the party split earlier this year. Team Panneerselvam claims to be the "real AIADMK" and has refused to accept Ms Saskala's decisions, also challenging her appointment as party chief. The re-merger initiative appeared to suffer a setback on Monday after comments by some ministers riled the OPS camp - they made suggestions that current Chief Minister E Palaniswami would remain in the top post in a reunited AIADMK. Mr Panneerselvam's supporters are clear that he must be reinstated as Chief Minister, a post he was forced to quit by Ms Sasikala in February. They also want him to be party chief in place of Ms Sasikala, who is in a Bengaluru jail for corruption. Mr Panneerselvam has said for any negotiations to begin the other faction must produce proof that Ms Sasikala and her deputy and nephew TTV Dinakaran have been thrown out of the party. He also wants Chief Minister Palaniswami to request a CBI investigation into the death of former chief minister and AIADMK chief J Jayalalithaa. The faction led by Mr Palaniswami or EPS has said it is coming to the talks table without pre-conditions - it said it has sidelined Ms Sasikala and Mr Dinakaran, though they are yet to resign. It also pointed out that Mr Panneerselvam was Chief Minister for two months after Ms Jayalalithaa died and could well have a ordered an investigation into her death. On Monday both sides blamed the other for a delay in beginning negotiations after they had each announced a seven-member team that would hold talks. 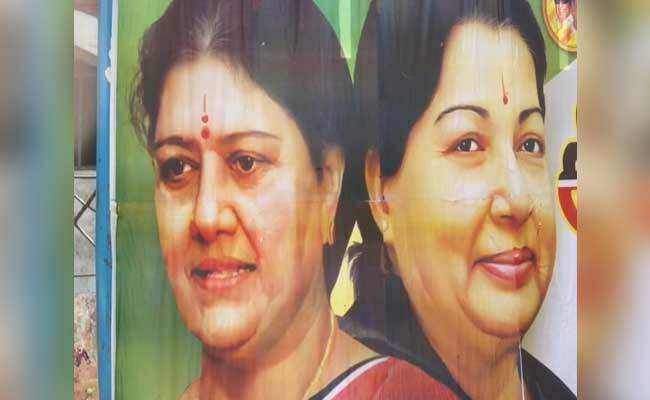 Big posters of Ms Sasikala still dominate the party headquarters much in the way those of Ms Jayalalithaa had for years. Ms Sasikala was Ms Jayalalaithaa's closest companion for years and appropriated control of the party. When she made an attempt to also be Tamil Nadu Chief Minister, O Panneerselvam rebelled. Ms Sasikala's ambition to be Chief Minister was crushed by a Supreme Court order sending her to jail and she had ensured that Mr Palaniswami became Chief Minister. She had also installed her nephew Mr Dinakaran, once expelled by Ms Jayalalithaa, as AIADMK's deputy chief.